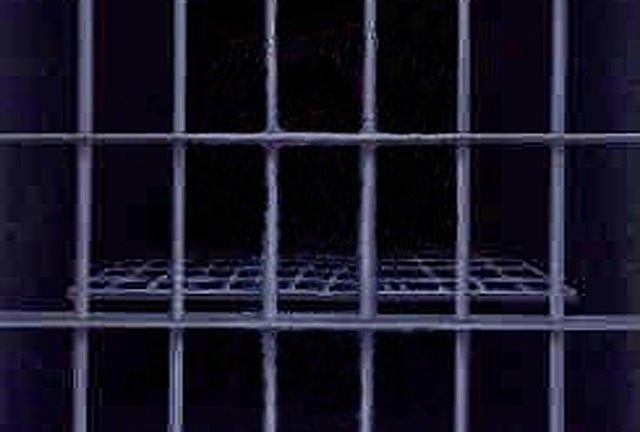 Chuck Colson, the founder of Prison Fellowship and Mark Earley, it’s current president outline, in a four part Break Point commentary series, a crisis that we are seeing in our criminal justice system and what the Church can do about it. Most systems are operating above safe capacity, despite the prison-building boom of the past two decades. Of the 2.3 million in prison, an estimated 700,000 will be released from prison this year unprepared for life on the outside. Two-thirds of them will be rearrested within the next three years. In part three, “Melting Hearts” Colson says that “crime cannot be boiled down to statistics. At the receiving end of a crime is a flesh-and-blood victim. Christians should be advocates for restorative justice. Justice doesn’t stop with the police, court system and prisons, it is also a matter of the heart, as justice also means repairing the harm caused by a crime. Ultimately what is needed to see change happen in the criminal justice system is transformation. In part four, “The Heart of the Matter” Mark Earley discusses the work that government can not do. Followers of Christ can not afford not to address this problem and respond to it in a meaningful way. We should be the ones who bring hope to those who are imprisoned and their families. Well, ok the United States Postal Service. One of my belated Christmas presents. Every year when my family asks what I want for Christmas I always say books. Mainly because in my current position I do not have a book fund, whereas when I was a youth pastor I had one. So Christmas and birthdays are usually book bonanzas. This is what I received today. Why do the personal lives of many modern Christians mirror our surrounding culture? 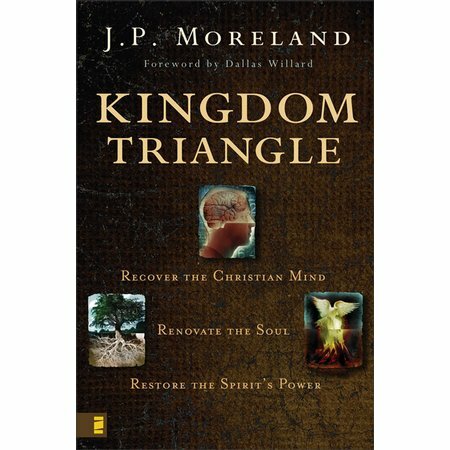 Calling us to reclaim Christianity’s potency within Western society, Moreland offers a penetrating critique of postmodernism and naturalism—the worldviews most responsible for the church’s waning influence. Drawing lessons from the early church, he charts the way toward 21st-century restoration. Chuck Colson brings together his political experience and his Christian commitment of faith to take on the issues of church and state. Speaking plainly, clearly, and to the point, God & Government (a revised and updated edition of Kingdoms in Conflict) offers a uniquely challenging view of politics, power, and the evangelical pulpit in America. 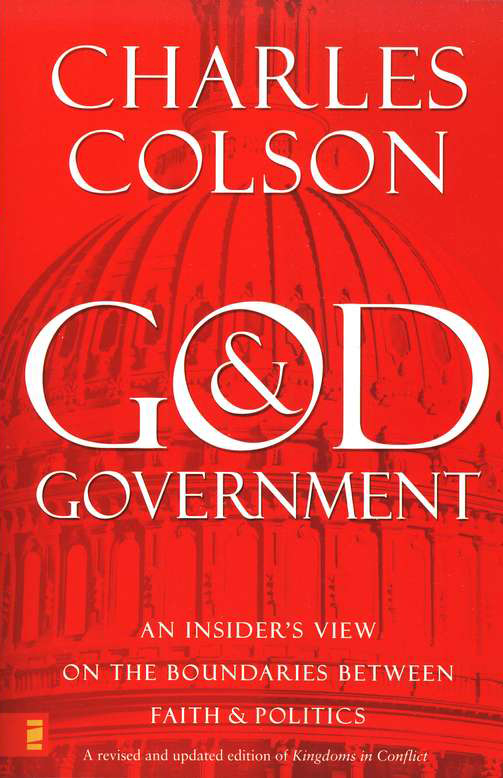 Colson tackles such issues as Christians in politics, civil disobedience, and political structures, and shows why Christians who truly understand the Kingdom of God and their role in the world are the most responsible citizens. Discover why the church and state are kingdoms in conflict (as well as how an individual can be both a Christian and a patriot) in this provocative, practical and challenging look at the role of the church in society, the role of government in the world, and the role of Christians in each. 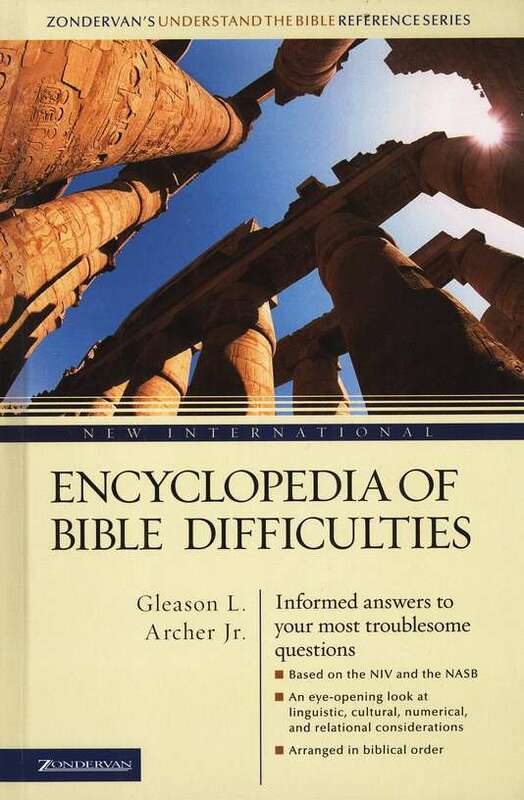 Last, but not least.. a Biblical studies reference work that I’ve wanted for some time now. Did God approve of Rahab’s lie? Why are many of the Old Testament quotes in the New Testament not literal? Does the Bible class abortion with murder? Where did Adam and Eve’s sons get their wives? Does 1 Corinthians 7:10-16 authorize divorce for desertion? I’ll be blogging through the first two, the reference work is just a handy tool for when some folks who frequent here ask questions (and for my own personal growth too).